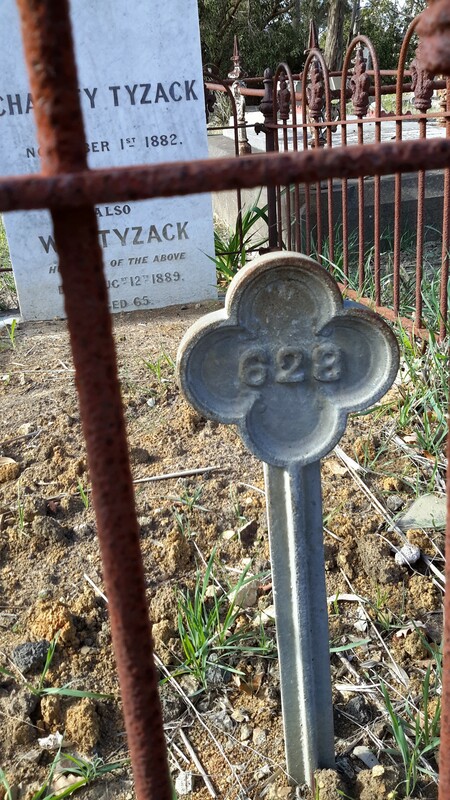 My great great grandfather William Baker Tyzack died in 1869 and was buried in the Boroondara General Cemetery. 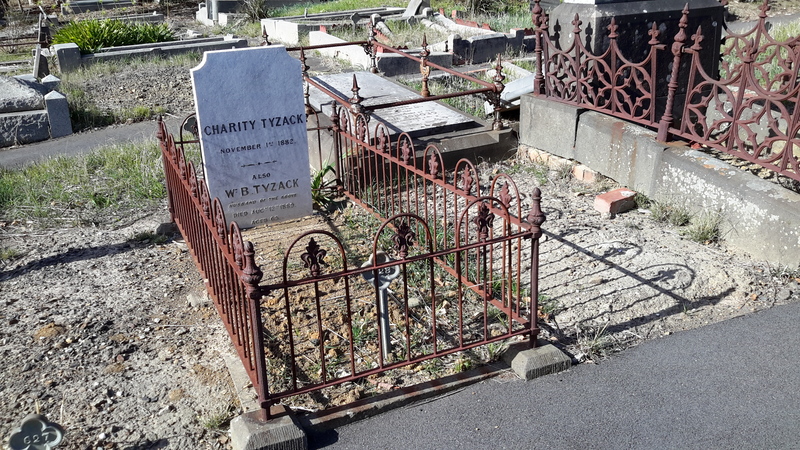 Until 2015, William Baker Tyzack’s gravesite languished for want of care. Late in 2015 a specialist was employed by family member, Bruce Tyzack out of his own pocket, to adjust and clean the gravestone. If you would like to make a financial contribution to this work please email me for details of how you can help. 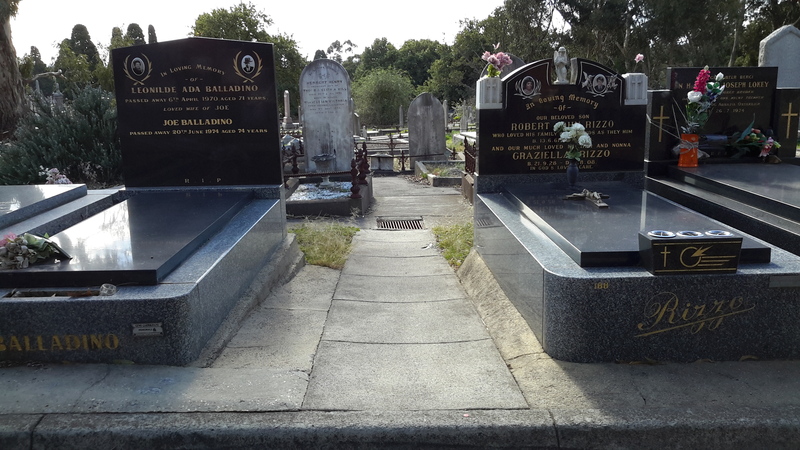 Travel to Boroondara General Cemetery which is sandwiched between High St and Parkville Road in Kew, an eastern suburb of Melbourne. Enter by the side gate off Parkville Road almost opposite the street named Uvadale Grove. There is a parking space for two cars directly in front of the gate. Please note: as at May 2016 the cemetery gates are locked at 5pm each evening. Walk through the gate and onto a narrow bitumen path down to a T junction. When you stop at this point you can see a path extending from to your left and right. Immediately on your right at this junction is a sign pointing back to the gate. Step left onto that path. Walk left along that path a few metres until on the right hand side are two black gravestones with a path between: the left hand gravestone names Leonilde Ada Balladino and on the right hand of the path the gravestone names Robert John Rizzo. Walk between these gravestones on that path. The path continues downhill a long way but you should walk only a few metres, until you come to a junction with another path on your right hand side. If you look to your right, you can see another path going downhill that is parallel to the path you are on. That other path is the one you are aiming for. Turn right from the path you started at the black gravestones. Walk for a few metres then turn left and walk downhill. Continue walking downhill until, on your right hand side, you can locate gravesite 628. The gravestone stands out. It has been cleaned and is sparkling white whereas by contrast all other nearby gravestones are grey, stained, and in very poor condition. 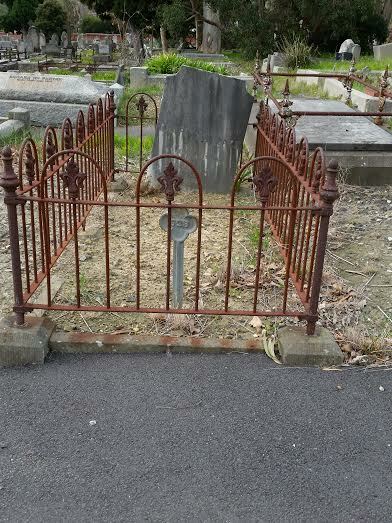 This is the burial site for William Baker Tyzack, his wife Charity Tyzack and his daughter Maria Baker Tyzack. Charity is listed at the top with William Baker Tyzack shown less prominently below. Their daughter Maria Baker is not listed. 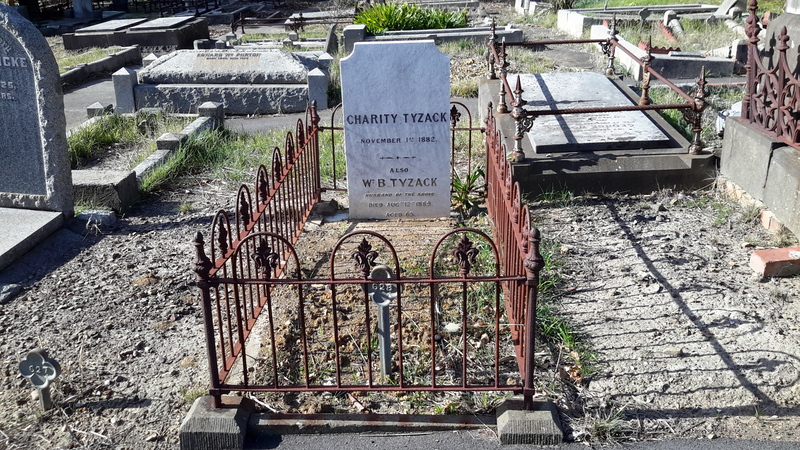 Please note that a number of gravesites with a 628 number can be located across this huge cemetery, but only one represents William Baker Tyzack or his family. 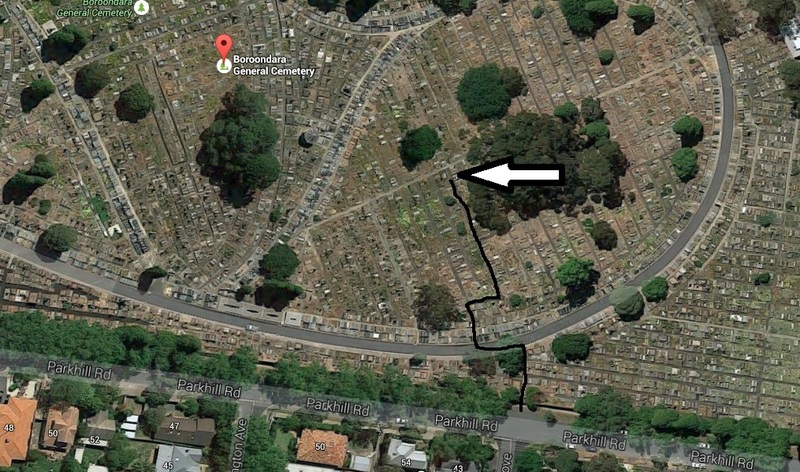 Therefore, if you do not enter the cemetery by the side gate on Parkville Road, you are strongly recommended to find it and use that to guide you to the gravesite. Please note: there is another plot 628 a couple of rows away from William’s plot and this is not connected to our family. If you follow these guidelines you’ll be sure to locate the correct gravesite. These guidelines were printed in the publication: William Baker Tyzack and descendants in Australia, a recently published book which is now available for purchase from this website.